← Blu-Ray News #139: The Green Slime (1968). Coming Back: Close Encounters Of The Third Kind (1977). 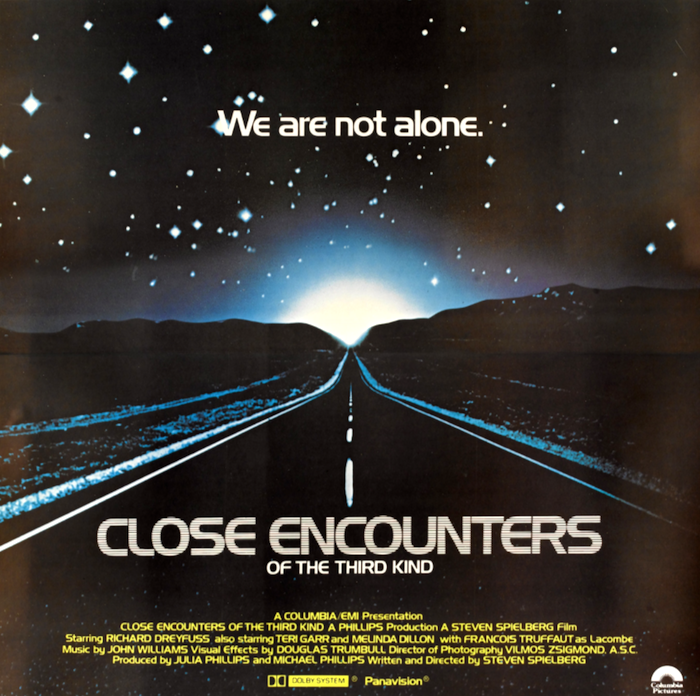 Steven Spielberg’s Close Encounters Of The Third Kind (1977) is 40 years old, which for some of us serves as a reminder of just how old we are. Yikes. In a sci-fi movie year that had already given us Star Wars, Spielberg’s followup to Jaws (1975) was a big, big deal. We all went a little UFO-happy, just like we’d gotten collectively spooked by the ocean a couple years before. For those of us who want to relive those days (to “make contact again,” as the trailer says) or give our kids a little taste of ’em, Close Encounters (Spielberg’s Director’s Cut) will play theaters for a week in September, with a new 4K and Blu-Ray release coming a couple weeks later. I’m getting stoked.